This weekend was relaxing and restful..exactly what we needed! 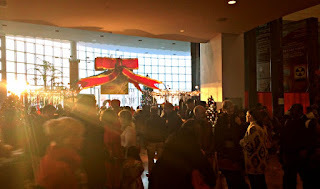 Aside from taking Rocky out to the dog park a few times, we also managed to check out the Christmas Fair at City Hall, that took place on Saturday, December 5th from 2 pm - 6 pm. The weather was so mild and warm over the weekend, which made the long lines outside of City Hall much more bearable! We arrived about an hour after the event started, so there were lots of people there already. The shortest line happened to be for drinks, so we quickly grabbed a spot and waited for our hot chocolate. 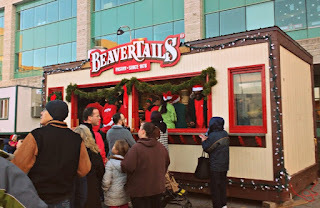 Next up, we took our place in the significantly longer line for FREE Beaver Tails! 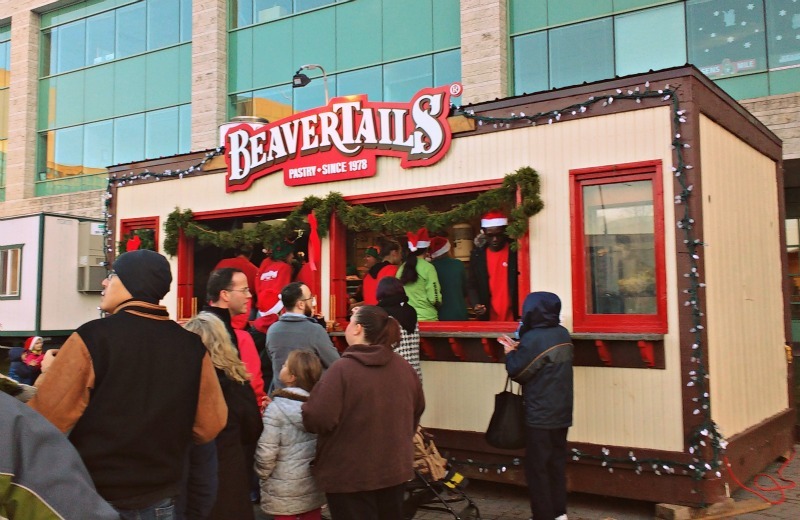 They weren't giving people any choice of toppings, but how could anyone complain about a FREE cinnamon sugar Beaver Tail?? 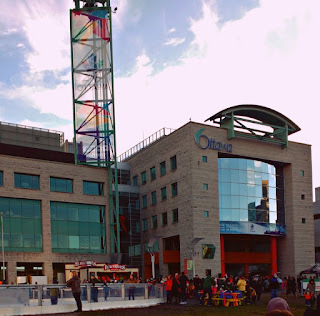 Unfortunately, we didn't do the horse-drawn carriage ride (the line was really long), but we still enjoyed seeing all of the fun activities and Christmas decorations throughout the City Hall grounds. They had a merry-go-round, a craft workshop, and of course, a meet-and-greet with Mr and Mrs Claus! Of course, I should note that the event catered primarily to kids and families, but there were still plenty of young couples and older groups in attendance. On Sunday, I got a chance to do what I had been looking forward to ever since the weather started to get colder...I wrapped Christmas presents! I also wrote our Christmas cards, which was actually quite a feat! My hand was certainly starting to ache by the time I finished and sealed the final card. I personally enjoy wrapping Christmas presents, especially when I get to do it while listening to Christmas music and sipping on a peppermint mocha (my homemade version: dark chocolate, coffee, steamed milk, and a peppermint candy cane)! I even had a little helper keeping me company! 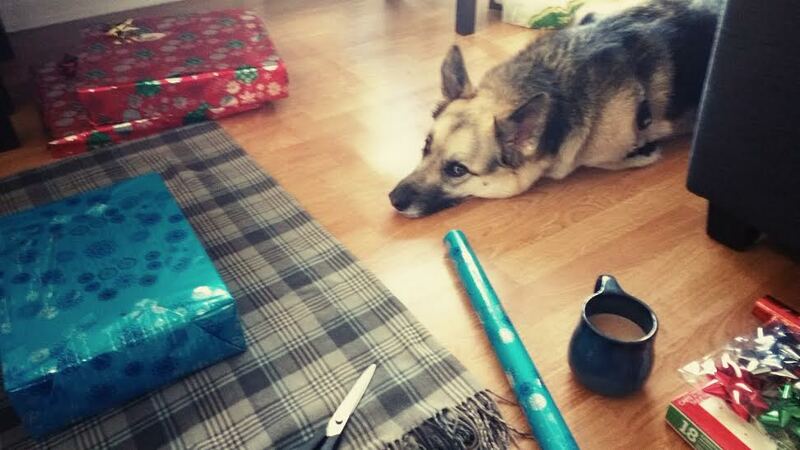 Now, if only I could teach him to cut tape and curl ribbons for me! Hehehe, just kidding of course!